In 2005 or 2006 I was booked at a club in Munich called Harry Klein. That’s where I met Dario Zenker, who was a resident there at the time. He had already started releasing music, but his own label Ilian Tape was still taking shape. A little later I met his brother Marco. Back then I was responsible for stocking records and administering Hard Wax’s database, so I had a front row seat watching the brothers develop their own unique style. Ilian Tape represents the new sound of Munich for me. When I hear a track by the Zenker Brothers I automatically think of Munich, in much the same way that I did back in the ’90s when I heard a track by Richard Bartz. To find and mold your own aesthetic is a vital task for a producer; with Immersion the Zenker Brothers complete that mission. One of the things I really like about the album is how intuitive the arrangements feel. The tracks just roll, even though there’s only one tune with a straight kick drum. The record sounds like a breakbeat-infected testing ground, but it’s not rave pastiche—they’re twisting the breakbeats in their own way. The brothers have a sense for rugged grooves that demand time to breathe and reveal their power. When I play their tracks I notice how some people on the dance floor are confused at first. Then after a few minutes, you can see how they begin to get it. Once they’re locked in, the energy in the room shifts to a new intensity. If I want to change the pace of a set, or interrupt a steady flow of straight, pounding techno without losing the groove, the Zenker Brothers are my weapon of choice. On Immersion the low frequencies sound crunchy, and the drums are coated in a distorted sheen. That’s something that sets them apart from the British breakbeat and dubstep-informed techno coming from producers like the Hessle Audio camp. Immersion sounds rawer, and less tight. The Zenker Brothers manage to have the right amount of granular dirt in their music, and that’s something I miss in a lot of the British stuff. The dusty feel is something I can relate to. I have the impression that Dario and Marco really didn’t care about anything but the moment when they were recording Immersion. The album sounds like they felt liberated in the studio. I would love to lock the Zenker Brothers and Patrick Gräser, aka Answer Code Request, in a studio. I’m very curious to see what would come out of that. Aesthetically, Immersion reminds me of Patrick’s work, especially his debut album from last year. It wasn’t really a dance floor album, either. I think they’re investigating parallel sonic avenues, even though Patrick’s stuff is a little bit more musical and delicate. In contrast, Dario and Marco’s music has this rough edge and is more groove-oriented. It’s this wall of sound that piles up in front of you. It feels like rave, and it’s obviously inspired and informed by ’90s techno. But it’s neither overtly aggressive, nor too happy. It’s just dark and trippy, and that’s the way I like it. This article originally appeared in the Spring 2015 issue of Electronic Beats Magazine. Click here to read more from this issue, including an interview with Gilles Peterson, and click here to listen to a premiere of a recent Ilian Tape release. 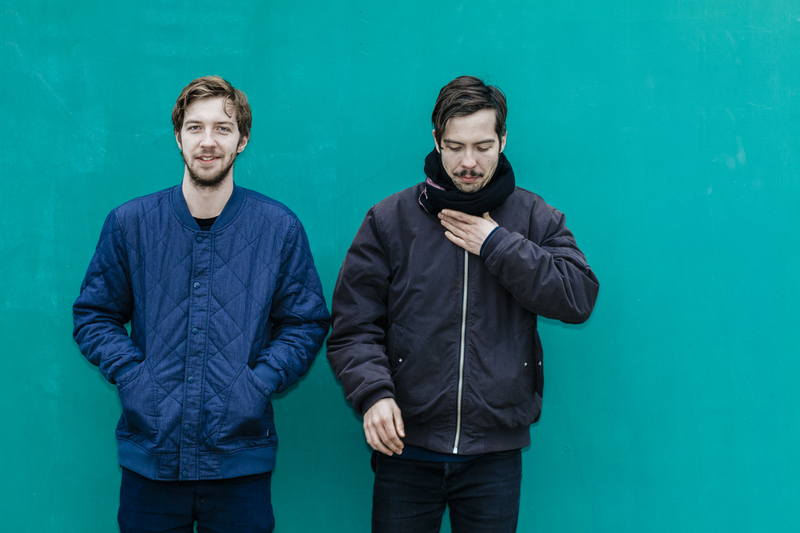 Photo of the Zenker Brothers by Nadia C. Cortellesi.